It set about developing a learning programme and secured funding from the J Macdonald Menzies Charitable Trust in 2010. It was accredited by the Scottish Qualifications Authority in the summer of 2012 and after running the programme successfully in Scotland for three years, the charity is set to expand it across the United Kingdom. The Parkinson’s UK education team provides resources and training to facilitators, who in turn deliver the programme to staff at their organisation. Staff from care homes, care agencies and care-of-the-elderly wards have taken part in the programme and in 2014 the charity appointed a full-time programme manager and part-time programme coordinator to cope with the high level of demand. Content is presented in a social rather than medical way, to make it more accessible. 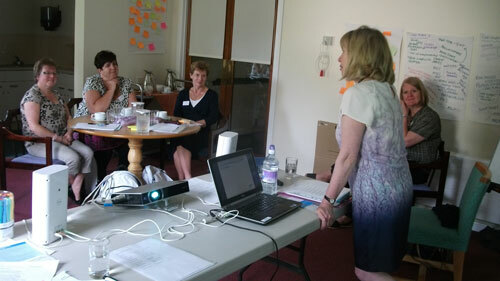 One social worker described the programme as “the best training I have ever been on”. An annual external review of the programme by the Scottish Qualifications Authority graded it as ‘highly commended’.